The Sister Bay Historical Society offers many events throughout the year. 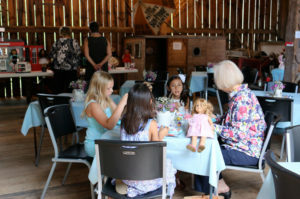 Some events are in cooperation with the Village of Sister Bay, while other events are exclusive to the Museum. To view Museum events, click on the button below to visit the Events Calendar. Local farmers & vendors provide fresh produce, sauces, honey, meats, eggs, flowers, bakery, jewelry, wood products & photography. Musicians & artists appear at the Koessl barn in our Heritage series. The Sister Bay Historical Society has always relied on memberships, donations and fund raisers to operate its facility. Your gift will help guarantee that Sister Bay’s history will be preserved and archival information made available for future generations.